Most recently, restaurant chains and supermarkets have confirmed their commitment to reducing the level of plastic in their products, while governments have urged people to recycle more vigorously. According to the Plastic Pollution Coalition, by 2050 the world’s oceans will contain more plastic than fish by weight. In recognition of exciting advancements being made throughout the fields of science, technology, engineering and maths, UK residents will come together throughout April to take part in British Science Week starting from April 9 to 18. This year’s event will focus predominantly on the ocean and the significance of science and technology in combating harmful levels of plastic in our seas. Indeed, drones are very much on the front line of this war against plastic, with scientists increasingly dependent on this technology to protect some of the most fragile underwater ecosystems. As drone technology advances, applications within the marine environment are set to increase markedly with dramatic effect. Commenting on the use of drones in the marine environment, Robert Garbett, CEO of Drone Major Group, said: “With the announcement that British Science Week is launching a citizen science partnership in 2018 with The Plastic Tide, I was reminded of a recent trip to Thailand. It was on Ko Phi Phi that I met a group called the ‘Beach Front Divers› who are using drone technology to survey the island’s beaches and coral reefs for plastic contamination, the state of coral decline and fish stocks from the air. 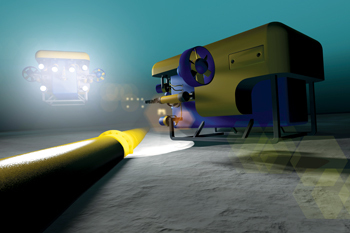 I was so alarmed by what I saw that I decided to help the team by sourcing a dedicated air drone and an underwater drone (ROV) to enable the completion of beach surveys with a much greater level of precision. Drone Major Group is positioned at the forefront of the burgeoning global drone industry and has been central to discussions regarding drone applications and responsible industry standards. 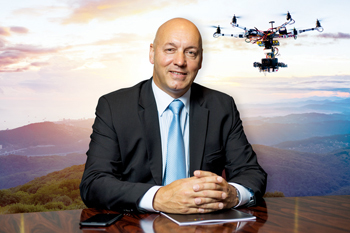 The Drone Major platform draws together 80 per cent of the global drone industry, facilitating connectivity by offering advice and guidance to professionals as well as giving customers a central point to contact suppliers.